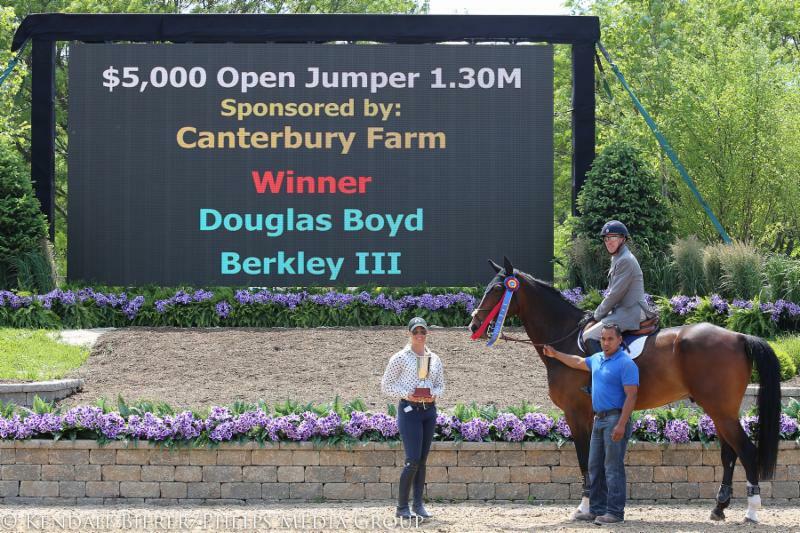 Douglas Boyd and Berkley III win the $5,000 1.30m Open Jumper Stake sponsored by Canterbury Farms at the Spring Spectacular I.
Wayne, IL - June 5, 2015 - The $5,000 1.30m Open Jumper Stake presented by Canterbury Farm took center stage Friday during the opening week of the Showplace Productions Spring Spectacular Series. The Midwest is well known for its blazing jump offs, and Friday proved no exception as 21 horse and rider combinations competed for the prize. Douglas Boyd and Berkley III rose to the top of the ranks, breaking the beam in 39.418 seconds to seal their victory. Danny Foster (CAN) designed the track for the third day of competition, utilizing long distances and quick turns to test both horse and rider alike. Boyd was able to keep a swift pace throughout the jump off, even though he admitted that the course had a bit of trick to it today. "Berkley III is a very careful horse, which worked in our favor because the course was a little tricky today," Boyd said. "The jumps came up quick out of the corners, and I think the long runs and galloping during the jump off proved challenging, especially with a big horse like him. Keeping him together was the trickiest part for me. He really figured out what I was doing, and he was on top of it, sometimes even before me." 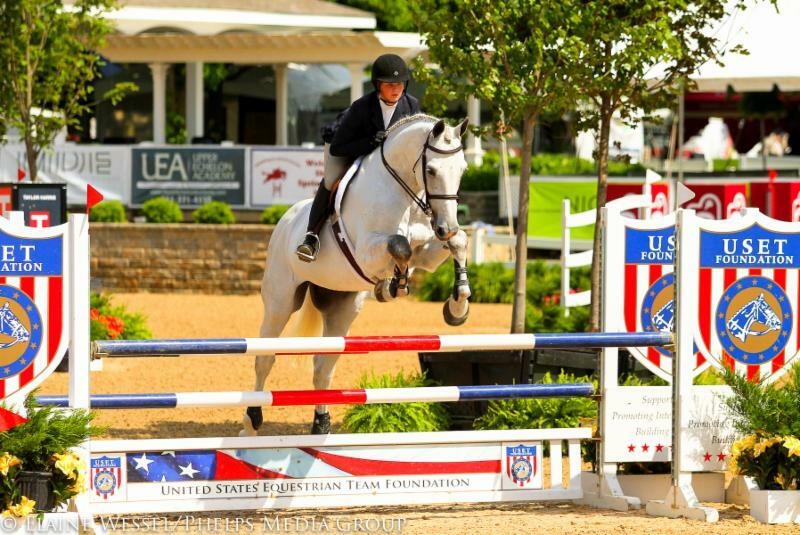 Boyd and Berkley III only began their partnership at the beginning of the year, when Boyd discovered him at the Winter Equestrian Festival held in Wellington, Florida. At the time, Andy Kocher was showing the 8-year-old Dutch Warmblood, but Boyd saw him and knew that he wanted the ride. They have been moving through the ranks slowly, working on consistency before over facing the young horse with grand prix. Boyd described, "We have been bouncing back between the 1.30m and 1.40m classes. I think he is a super horse. He will go on to do the grand prix one day, but for now we just want to really work on getting consistent between the two divisions." Nick Novak finished in the second and third slots, falling just behind Boyd with Dirkie Z in 39.580 seconds. He rode his second mount of the class to the third place with a clean time of 39.855 seconds. Wilhelm Genn and For Fantoms Please slid into fourth place in 39.883 seconds, while Trapp O'Neal and Quilona Z took the fifth place. Liz Atkins and Undine posted the fastest time of the event, but an unfortunate rail would have them finish sixth today as the fastest of the four faulters. "It is so nice to have a show like this, especially so close to home," Boyd said. "It has been a good week for us." Chicago's very own speed demon, Lisa Goldman, rode Rocs to Riches to the top of the 1.40 Open Jumper rankings with a fast and clear jump off in 39.314 seconds. Goldman edged out Wilhelm Genn and Cookie Monster from the lead with their time of 40.348 seconds, while Theo Genn and Castiel finished third with a conservative, but clear, 45.237-second jump off time. Rocs to Riches has had two tremendous days, winning the $2,500 1.30m Open Jumpers on Thursday, and duplicating her efforts for the win Friday at an even more challenging height. Goldman is a strong supporter of the Showplace Production Spring Spectacular, always coming out with a talented string of horses to bring some heat to the Mid-West jump offs. "It has been great. The facility looks amazing, and the weather has been perfect," Goldman said. "Pat and Nicole [Boyle] always put on a good show, and I have loved all of Danny Foster's courses, so we will see what the rest of the week brings." For Jean McLaren, competition is in her nature. As president of an advertising firm in Chicago, McLaren juggles work and competing in the show ring, and on Friday she executed her plan perfectly. She rode Avanz R, owned by Kathleen Caya of Oconomowoc, Wisconsin, to the win in a speedy 32.429 seconds. 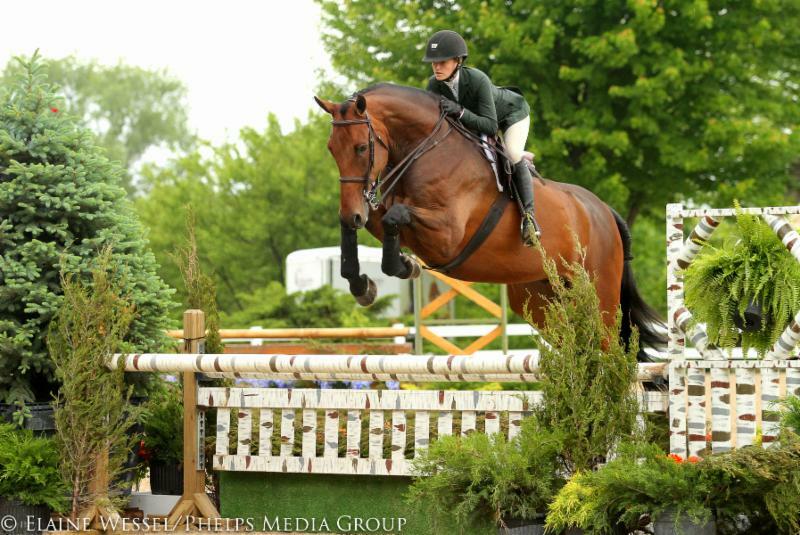 "She is a very experienced ex-grand prix horse, and she is just a blast to ride. She is super fast and knows her job," McLaren said of Avanz R. "All I have to do is point, and she will take it from there. She has the biggest heart in the world and never says no. She has taught me how to go fast." McLaren continued, "It has been a good fit, right from the beginning. This is the biggest class we have competed in, in terms of number of competitors, so I am really pleased that we were able to beat out some good competitors." Heidi Schaefer of Maple Park, Illinois, followed a half second behind McLaren with her own Sonas Douglas, completing the speed phase in 32.797 seconds for second place. The third place was awarded to Kelsey Concklin and High Rustler, owned by Ellie Morris of Hinsdale, Illinois. 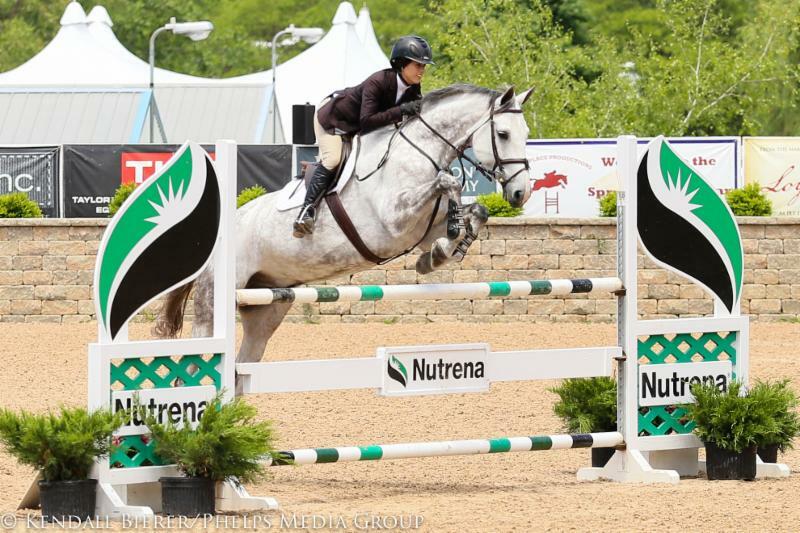 Eight of the Children's Jumper exhibitors successfully completed the power phase of the $1,500 WIHS Children's Classic, but it was Anna Duebel and Tolett who rode to the top of the leader board. Their time of 35.445 seconds during the speed portion of the competition was more than two seconds faster than fellow contenders. Emily Smith and Aviara took the second place award with a faultless speed round in 37.624 seconds, while Kyle Perkovich and Everlasting Goodness rounded out the top three in a clear 38.375 seconds. 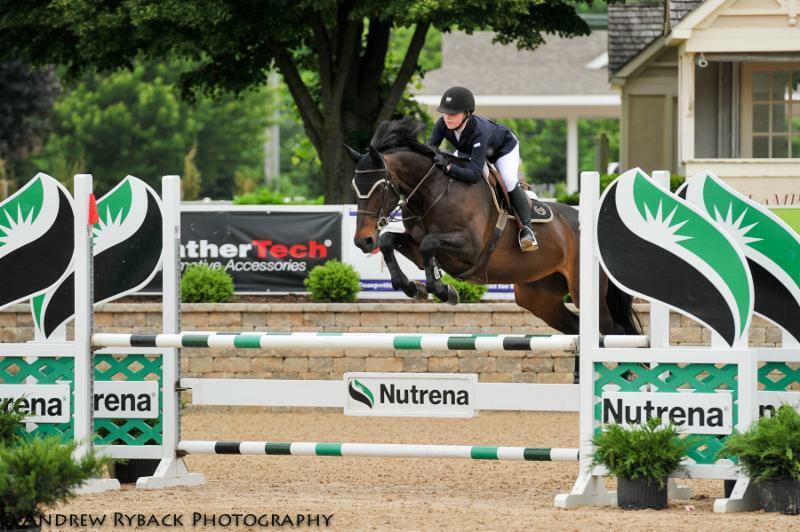 With the $10,000 High Junior/Amateur-Owner Jumper Classic only two days away, riders gathered at the Grand Prix Ring to prepare for the approaching Show Jumping Hall of Fame event. Caroline McLeese and Caprisio laid down a clean power round to move into the speed phase where she tripped the timer in 32.849 seconds. "Caprisio is a great horse. I have had him for about four years now, and he is like my best friend. Every time he walks into the ring, he is ready to go. We both had a lot of fun out there today. We have been working on our turns at home. I tend to be conservative in the jump off, and my trainer Brandie [Holloway] has been pushing me to work on turning tighter and keeping a stronger rhythm." Taylor Reid and Boucanier finished in the second position with a clean time of 34.930 seconds, while Samantha Wagner and L'Etoile posted the last clean speed round of the event in 37.840 seconds. During the Low Amateur Jumper division Coco Chanelle, with Cathy Rolfs in the irons, captured the win. They took the victory in 31.706 seconds, with second place going to Greg Burrow and Cavat. Chelsea Babcock and Da Vinci finished third. 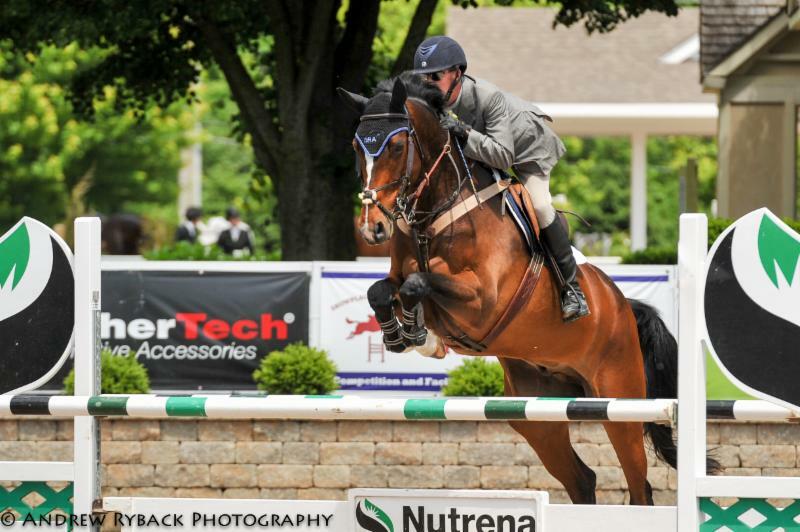 At only 13 years old, Kyle Perkovitch is well on his way to a promising future in the jumper ring. For Perkovitch, horses run in the family. He has been riding since he turned 5, following in the footsteps of his mother, Brenda Perkovitch. Today he rode Roc My World, a Roc USA baby, to the first place during the Low Junior Jumpers. Kyle Perkovitch has been competing with Roc My World since October 2013, moving through the Children's Jumpers to the Junior Jumpers. "She is really brave. She needs for the rider to trust her, because she will take you to the jumps, but she also needs your support and really giving over the jumps. If you find a good distance, she will be right there for you," Kyle Perkovitch said. "In the first line I left a stride out, and I didn't even realize how fast I was going. I made a really tight turn to the Taylor Harris Insurance Services vertical where we got really lucky, and she saved me a little. Then we made up some more time with a good rollback and a strong five strides down the final line." Caelinn Leahy was only 1/1000th of a second off of Kyle Perkovitch's pace, claiming the second place with Bloesem. Third place was awarded to Brooke Saltzman and Nicholas for their clean, yet more conservative speed round, completed in 31.203 seconds. The Spring Spectacular I will continue Saturday with its highlight event of the week, the $50,000 Barrington Saddlery Grand Prix, benefitting Assistance in Healthcare. For more information on the Showplace Spring Spectacular Series, please visit: www.showplaceproductions.com. Rollbacks and combinations dominated the third day of competition at the Showplace Spring Spectacular I held at the Lamplight Equestrian Center, as the Open Equitation riders chased points in the hopes of qualifying for their respective finals. 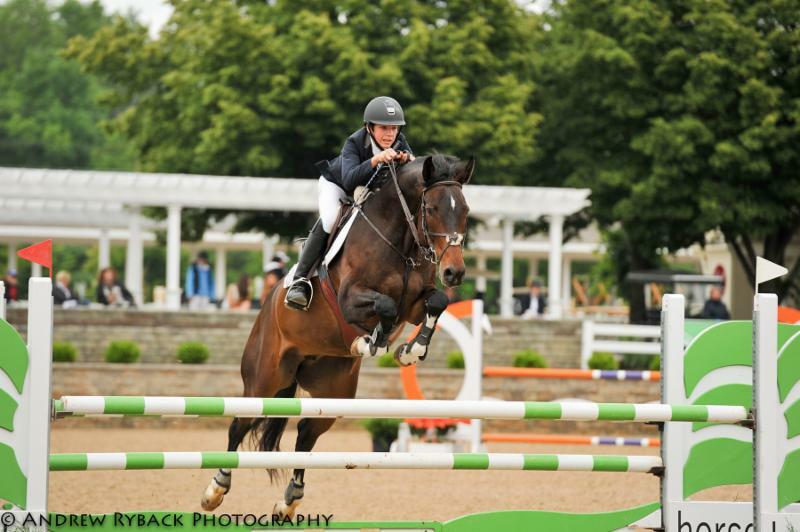 Whether it is the USEF Talent Search Medal, Washington Equitation class, or the ASPCA Maclay, with points at stake, riders had their sights set on the top of the ranks. The hunt for October was a common thread among the riders, with all the major finals looming in the fall. While some riders made significant ground toward their objective, others will have to wait to fight another day. ride a jumper style course effectively while demonstrating the proper equitation foundations in the hopes of preparing today's young elite to become the next generation of international show jumpers. Friday's competition was no easy task with riders facing a tricky course in addition to what could be considered a rigorous flat class, but Caitlin Boyle was in the irons aboard Diagon Decaré to outshine the rest. Boyle is the daughter of Pat Boyle, the show manager and owner Showplace Productions. It is Pat's visions that bring the three weeks of Showplace Spring Spectacular to life, and while he is navigating the showgrounds and teams of people, his daughter is navigating her way to another impressive champion honor. As a one-star event, fences were set between 1.10 and 1.15 meters for the afternoon's competition. The course consisted of 13 efforts, testing riders abilities to be able to manipulate their horses' strides and approach the jumps accurately. "I liked the course today a lot, and the questions it posed to us as riders. 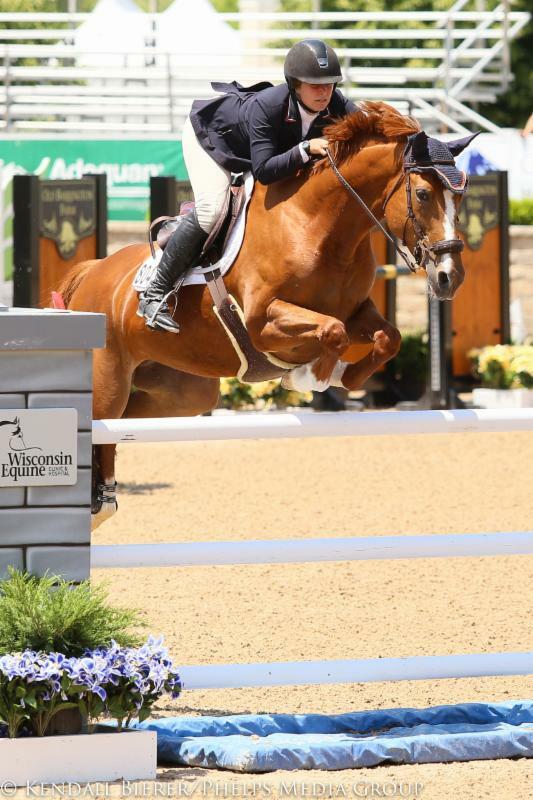 There were a lot of jumps and lines that required us to move up or come back for, like the short seven-stride line after the water jump to the USET-oxer," Caitlin commented. Course designer Danny Foster, hailing from Canada, noted that he "wanted to test the riders but also give them a chance to show off their equitation, so the course had the potential to be tricky but could be mastered by a skilled rider." Time does matter in the first phase of the Talent Search, and Boyle wasn't on top entering the second phase. Her time of 72.006 seconds fell just short of Caitlyn Epperson's time of 71.385 seconds aboard Stanislaus. Giavanna Rinaldi and Cayambe claimed the third spot at 73.013 seconds, and Kira Telford on Larry was the last clear round with a time of 75.318 seconds. Kyle Perkovich on Everlasting Goodness and Elizabeth Adelson on Bull Run's Rubicon took fifth and sixth, both with faults. Of her horse, it is clear that Boyle has a clear respect and admiration for him, saying that "he is very scopey and does a great job taking care of me. I never have to worry about the height of the fences and he did everything that I asked of him today." 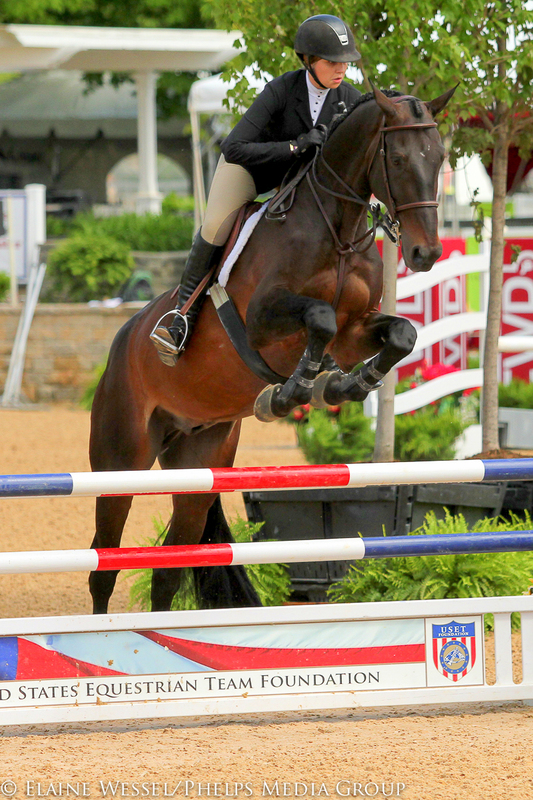 Diagon Decaré, owned by Cassie Berke, began his career overseas as a jumper, but was quickly transitioned into an equitation horse after his voyage across the pond due to his apparent calm nature. Living up to the ideal that the USET Talent Search holds-that riders are able to master the basics of equitation-Boyle claimed that she and Diagon Decaré don't jump much at home, but instead focus on lots of flatwork. "The jumps are nothing to him, so as long as we maintain suppleness and responsiveness I know that we can do well." Following the jump phase, riders were required to compete in the subsequent flat phase, the aforementioned specialty of Boyle's. The judge wasted no time in trying to find his winner, and proceeded to ask for a series of tests from the riders. Half turn on the haunches, cantering on the counter lead, a change of lead, and working sitting trot were just a few of the skills asked of the exhibitors. While all competitors performed well, it was Boyle's expertise that bumped her up from second to first. Boyle is no stranger to the winner's circle. Already qualified for the finals in Gladstone, New Jersey, in early October, she now has her sights on achieving a Gold Medal, a distinction given to riders who rack up an impressive 20 wins in the class. With today's win, she is up to 18. Sticking around for two more weeks of the Showplace Spring Spectacular, Boyle hopes to earn her final two wins while competing at her father's show. "I know it may be a lofty goal, but it's definitely possible." Finishing behind Boyle was Kira Telford on Arly Golombek's Larry earning the red ribbon, and Giavanna Rinaldi on Alex Jayne's Cayambe in third. 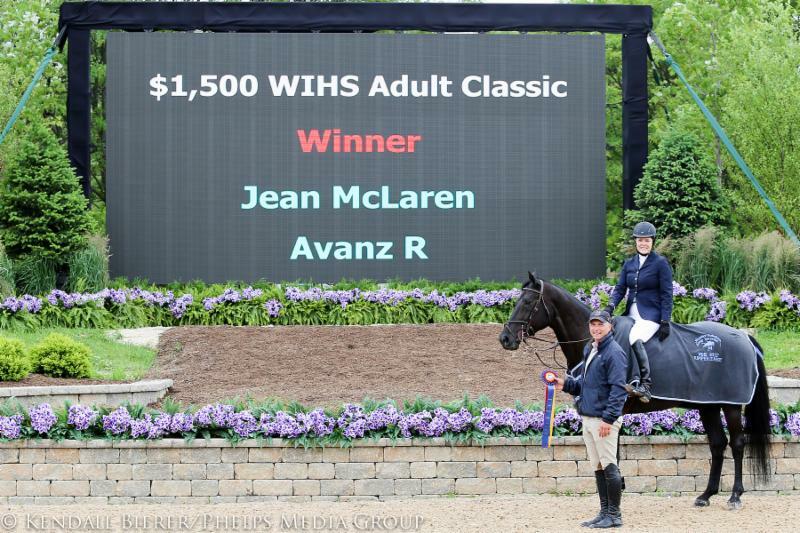 A field of 11 riders and horses took on the Washington Equitation class in the grand prix ring and braved the 12-effort course which featured a series of sprawling combinations and some tight turns. The class is conducted as a two-phase competition, a jumper course and a hunter course with the jumps set to the 3'6" height in both phases. Riders must compete on the same horse in each round. With only 40 invitations extended to riders around the nation to attend the finals in October, the stakes are high at each qualifying event. After the first round of competition, 16-year-old Giavanna Rinaldi and her mount Cayambe, the same horse she rode in the Talent Search, had gained a significant lead with a high score of 89, her next closest competitor, Carson Ruff and Toulouse, eleven points behind with a score of 78. "The jumper phase is definitely my strong suit. Where some of the other competitors struggled toward the end of the course, we were able to stay consistent," noted Rinaldi. It is no wonder that she considers her strengths to lie in the jumper ring-Rinaldi has made consistent appearances in regional grand prix over the years, no small feat on its own but especially noteworthy considering her age. Rounding out the top six headed into the hunter phase was Elizabeth Adelson aboard Bull Run's Rubicon in third position, Hunter Holloway on family horse Orion in fourth, Kira Telford and Larry standing in fifth, and Misty Redd on another Holloway horse, Holyfield. Further opening her commanding lead, Giavanna Rinaldi and Cayambe scored an impressive 88 from judges Timmy Kees and Richard Wilkerson in the hunter ring to earn a total score of 177. "Cayambe is still a bit green to the hunter phase. He's only 8 years old and this is his first year doing the equitation," claimed the leader. If a score of 88 is considered green, then Rinaldi may be one to keep on the radar. To add yet another twist to the story, as if the young grand prix rider taking a newly transitioned jumper into the hunter ring wasn't enough, Rinaldi is a rookie to the equitation scene. "I've never done equitation before. This is my first year and I like it a lot; it is definitely challenging but it is making me a better rider." Although Rinaldi was able to maintain her position, there was quite a bit of place-swapping among the other front-runners. Carson Ruff, previously in second, lost the second place with a score of 66 to Elizabeth Adelson, earning the second-best hunter score of 84. Ruff fell to fourth. Another strong performer was Hunter Holloway and Orion, who scored an 83 to bump the pair up from fourth to third after the second phase. Not satisfied with a win and a third for the day, Rinaldi once again rode her way to the top later into the afternoon in the ASPCA Maclay class. Sixteen junior amateur riders attempted to shine in the ring, but were no match for Rinaldi and Cayambe. "I really like the big equitation and would love to make it to the finals in the Washington, USEF, and the Maclay if I can," she commented. Across the property in Ring VI, Anne Waldo was busy riding her own horse Roc All Night to the gold, or the blue rather, to win the $1000 Novice Adult Hunter Classic. Frances McGinley navigated Ron Daugherty's Marbourgh to the second place finish, while Kathleen Caya's Sweet T ridden by Colleen Nagy also put in a good showing to take third. 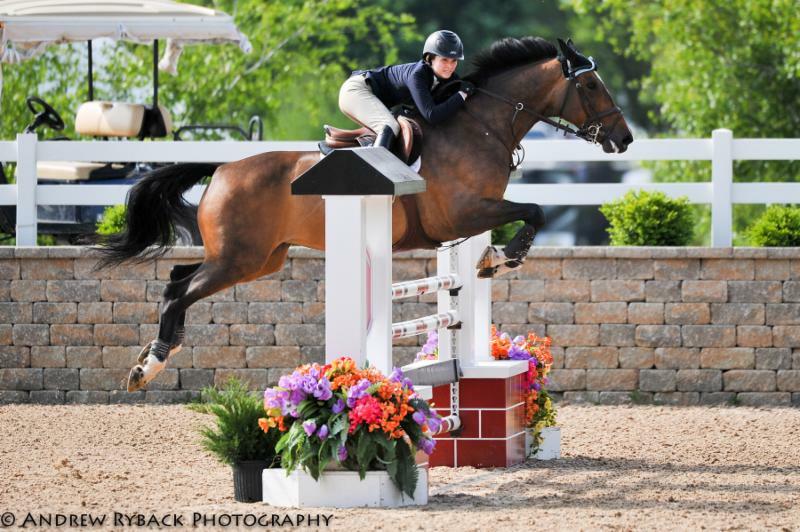 The Equitation and Hunters, as well as a number of classics, continue tomorrow as the Showplace Spring Spectacular Series reaches its fourth day of competition. The highlight of the day will be the $50,000 Barrington Saddlery Grand Prix.